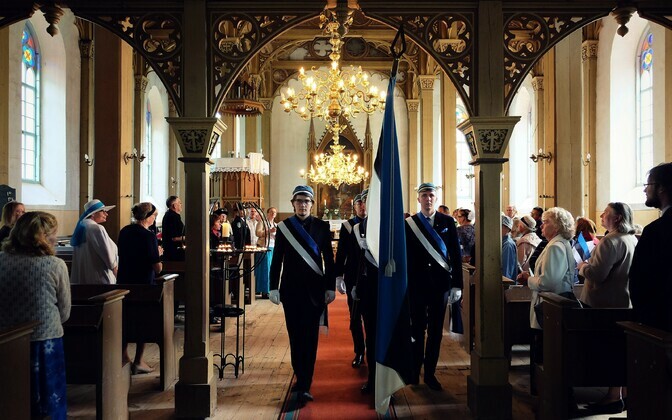 Estonian celebrated its 13th annual Flag Day on Saturday, marking the anniversary of the secret consecration of the first blue, black and white tricolor flag of the Estonian Students' Society at an Otepää church 132 years ago. 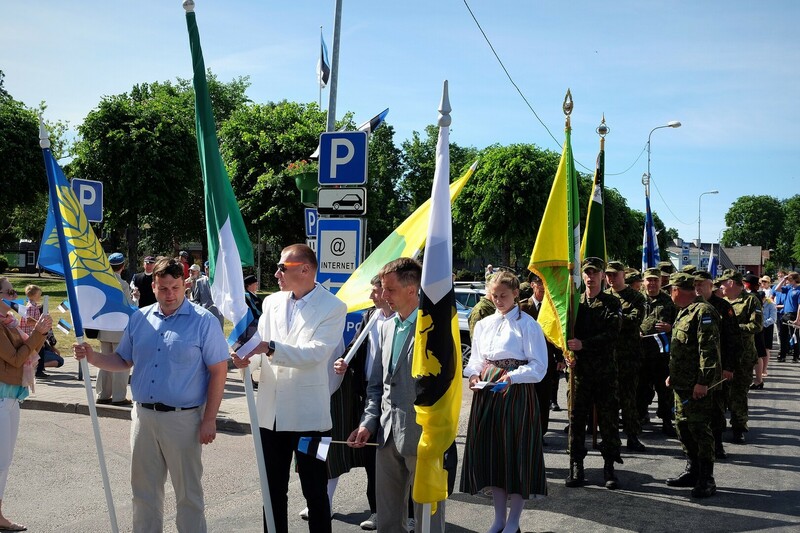 Events marking the holiday were organized in a number of locations across the country, including Tallinn, however it was in Otepää that the flag's original keepers gathered to celebrate the day. 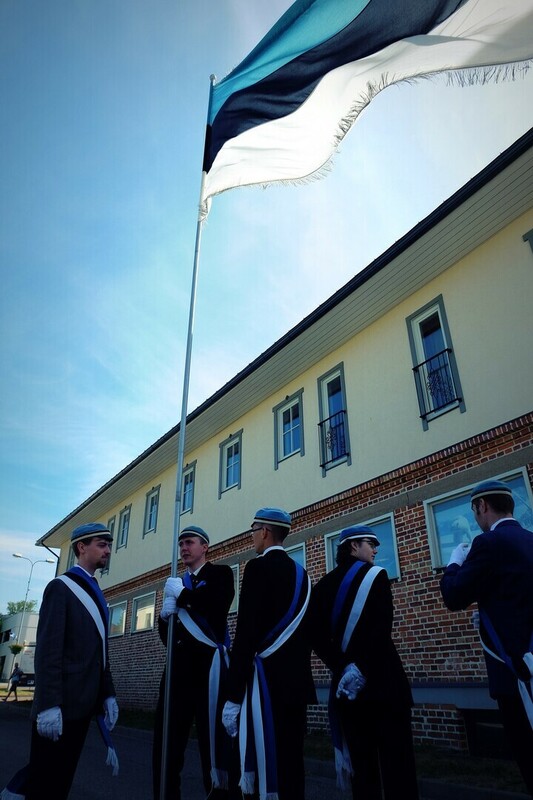 First confirmed as a day of national importance by the Riigikogu in April 2004, Flag Day was celebrated in Estonia for the first time on June 4, 2004, on the 120th anniversary of the Estonian flag's consecration in Otepää. 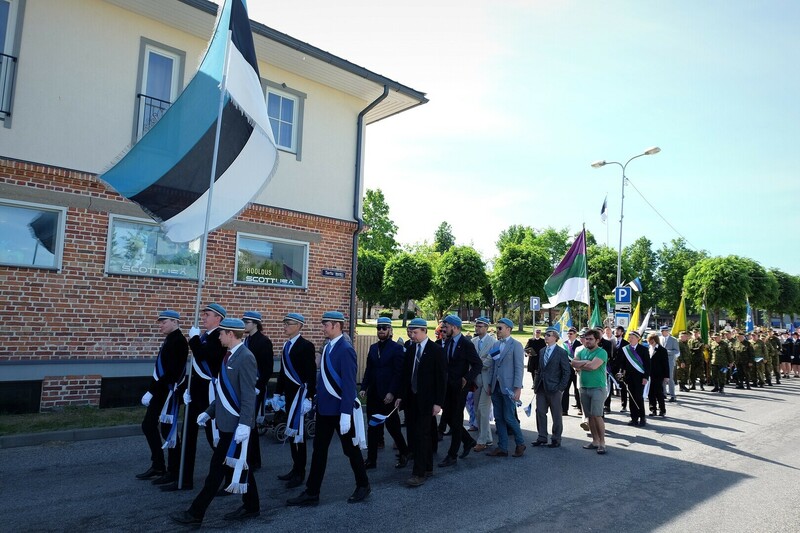 Since then, it has become tradition for members of the Estonian Students' Society to travel to the Southern Estonian town to join representatives from traditional fraternities and sororities, the Estonian Defence League and the Women’s Voluntary Defence Organization as well as local kindergartens, municipal leaders and local residents alike in celebrating the flag's anniversary with a short parade through town, speeches, and patriotic songs. 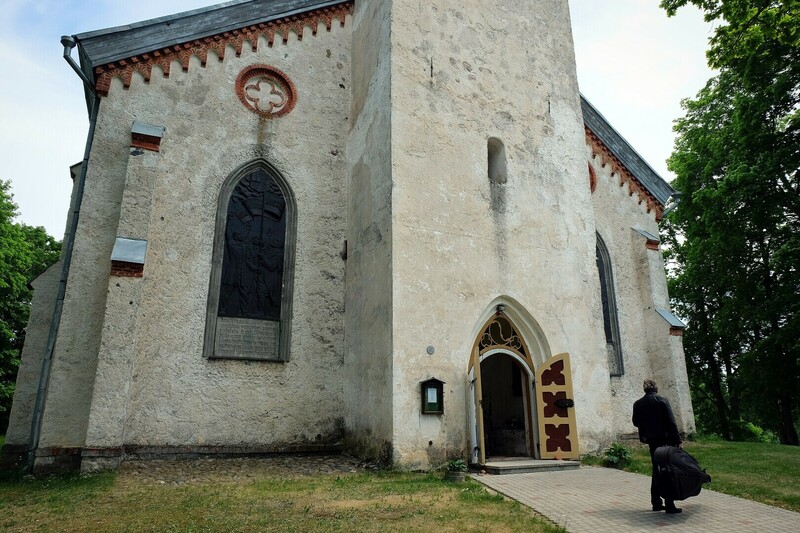 This year, the morning's ceremonies were followed by a concert-service with the Narva Symphony Orchestra at the Otepää St. Mary's Lutheran Church. 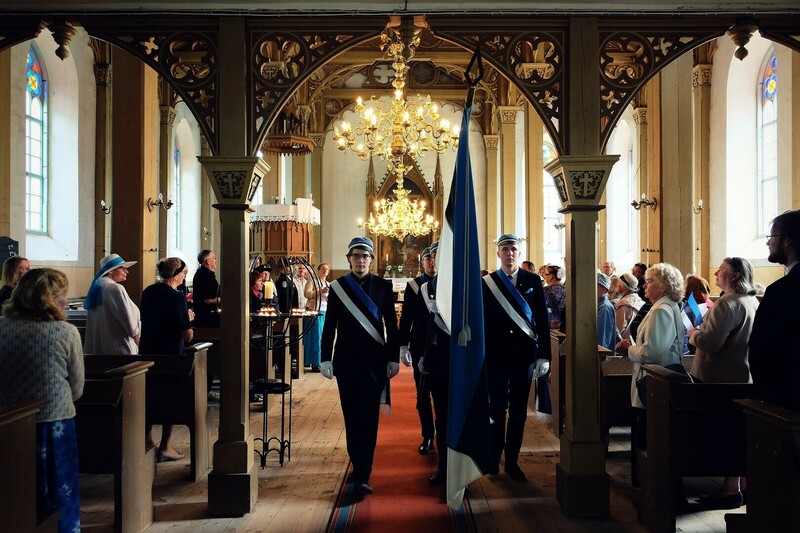 The first Estonian flag was consecrated as the flag of EÜS in the hall of Otepää St. Mary's Lutheran Church in a secret ceremony on June 4, 1884, 14 years after the first ethnically Estonian student organization's founding in in 1870 and 15 years after the yet-unformed Estonia's first national song festival was held in 1869, both in Estonia's major university town of Tartu. 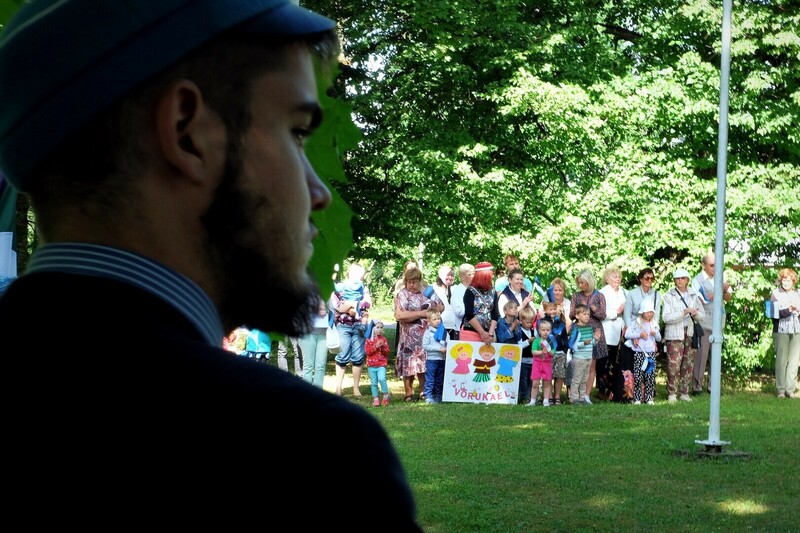 The ceremony was intentionally held outside of Tartu as the the color combination of blue, black and white had not been officially approved by the umbrella organization governing ruling local Baltic-German fraternities at the time, and as a result, it had already had an inauspicious public debut two years prior when the organization's president at the time chose to wear a cap and ribbon in the fraternity's unapproved colors in public and suffered grave consequences as a result. Over subsequent decades, the colors and the flag took on increasingly important meaning as symbols of a growing nationalist movement, and in November 1918, the blue, black and white tricolor, originally the flag of EÜS, was officially adopted as the national flag of the Republic of Estonia, which had declared its independence for the first time nine months prior, on February 24, 1918. 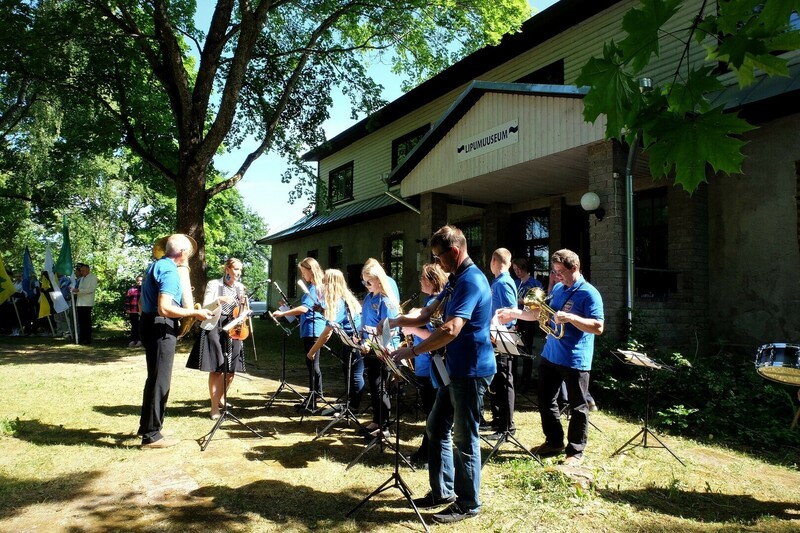 When Soviet occupying forces outlawed the activities of all student organizations in June 1940, EÜS' leadership decided to undertake an operation to save and protect the original tricolor consecrated in Otepää over half a century prior, first by switching out the original flag being stored in a stronghold of the Estonian National Museum (ERM) for a duplicate, then burying the carefully wrapped up original flag in the base of the chimney on the Kõola village farm of then-fraternity president Karl Aun. The Estonian flag was retrieved from Aun's farm only four months after Estonia regained its independence on August 20, 1991. After undergoing restoration, the original Estonian flag has remained under the care of of ERM while remaining under the jurisdiction of EÜS, whose permission is needed to retrieve the flag from storage at ERM and display it on rare occasions; the last time the flag was publicly displayed was in 2014, in honor of the flag's 130th birthday. 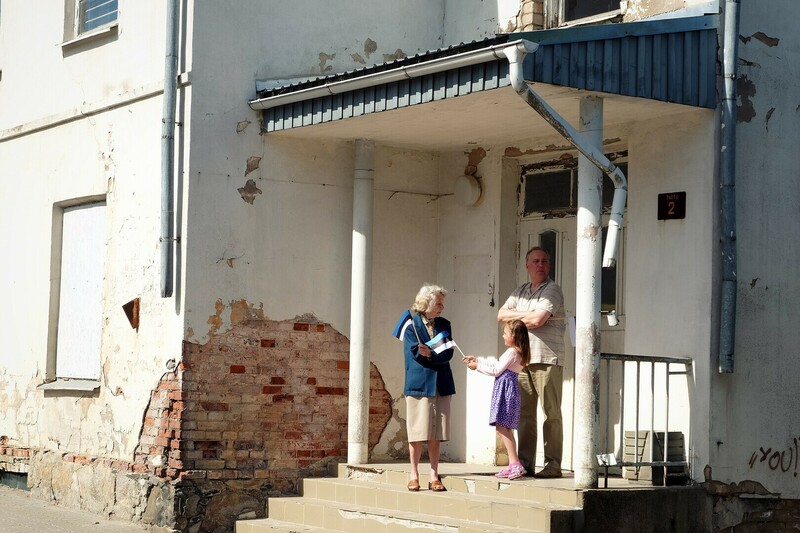 When the newly constructed Estonian National Museum opens to the public in Tartu's Raadi district in fall of this year, however, the tricolor will be placed on permanent display at the new museum.